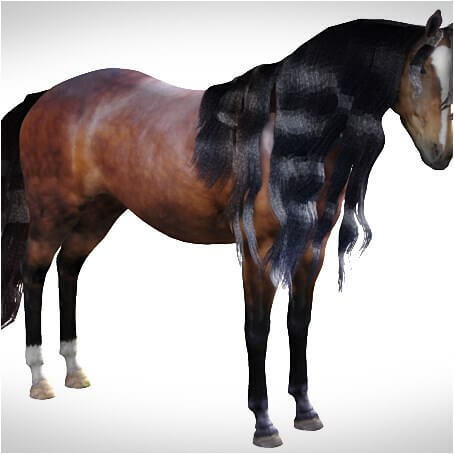 for the mane, left, right and upper, each of which are made up of three separate layers. Then there are the many boned strands of the forelock to contend with. 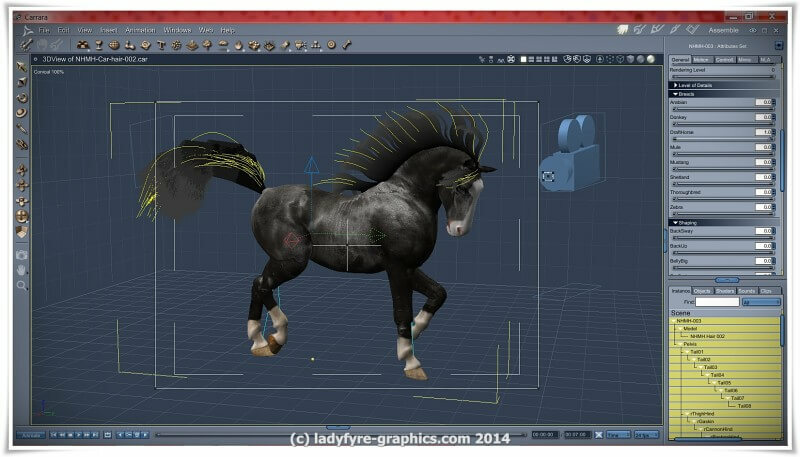 I had to select and remove all of the mane, forelock, tail and fetlock hair polygons in a modelling program, saving out the horse obj to a new file. 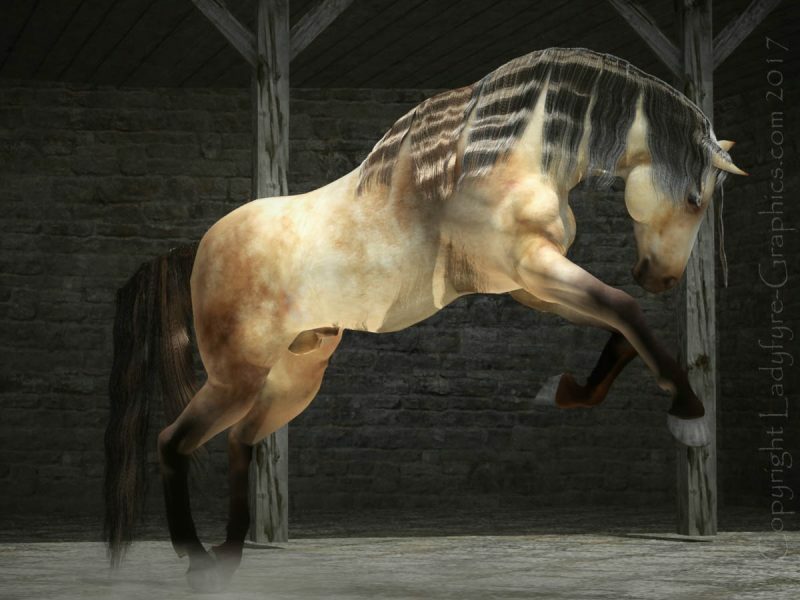 Then I had to edit a copy of the MilHorse cr2 file so that it pointed to the new now hairless mesh. Still with me? 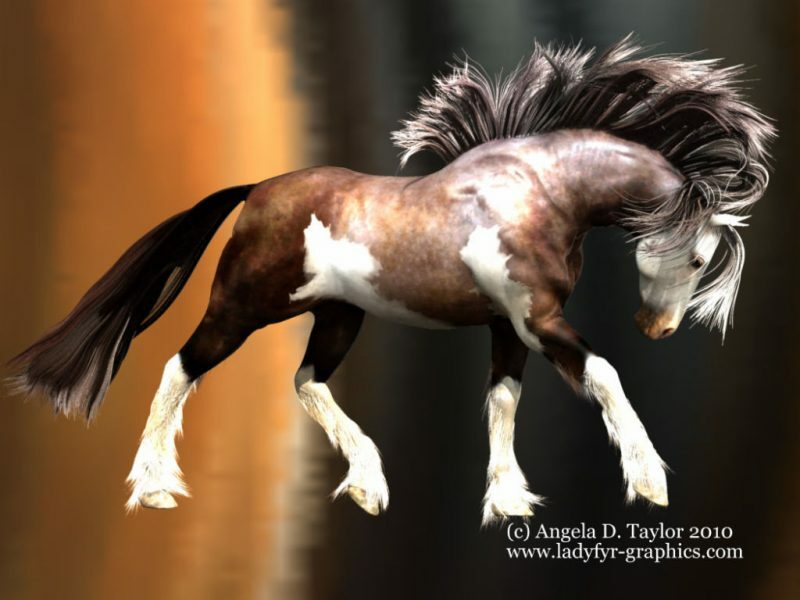 Then I had to hack the new hairless cr2 as all the morph targets were now unusable so they all had to be removed as did all of the bones for the forelock…. 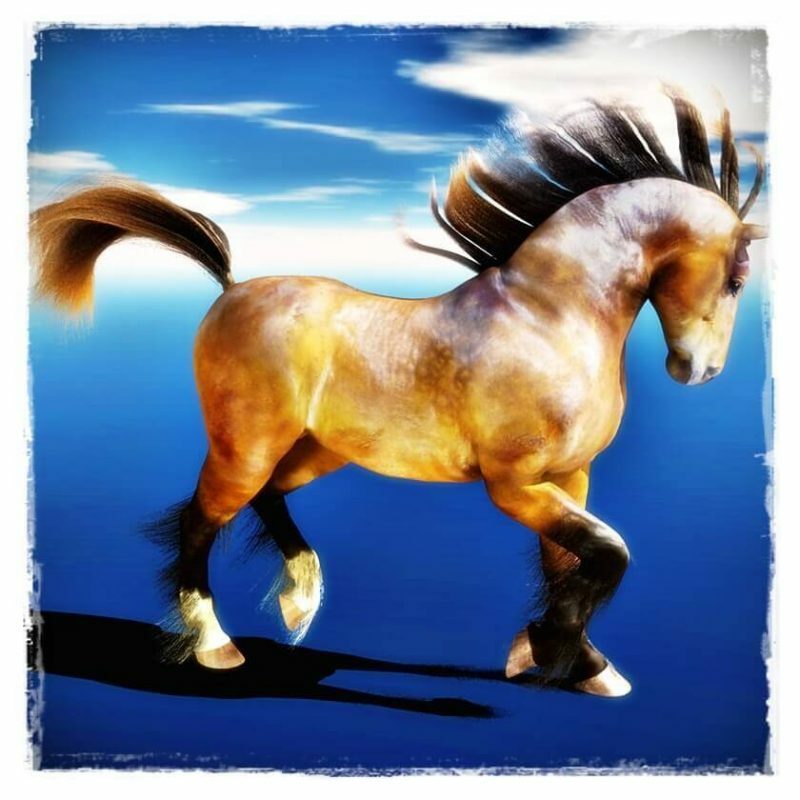 Next I used an app to try to recreate all of the morphs in the horse, this was only partially successful and if I attempt it again I will need the time and patience to do it manually. 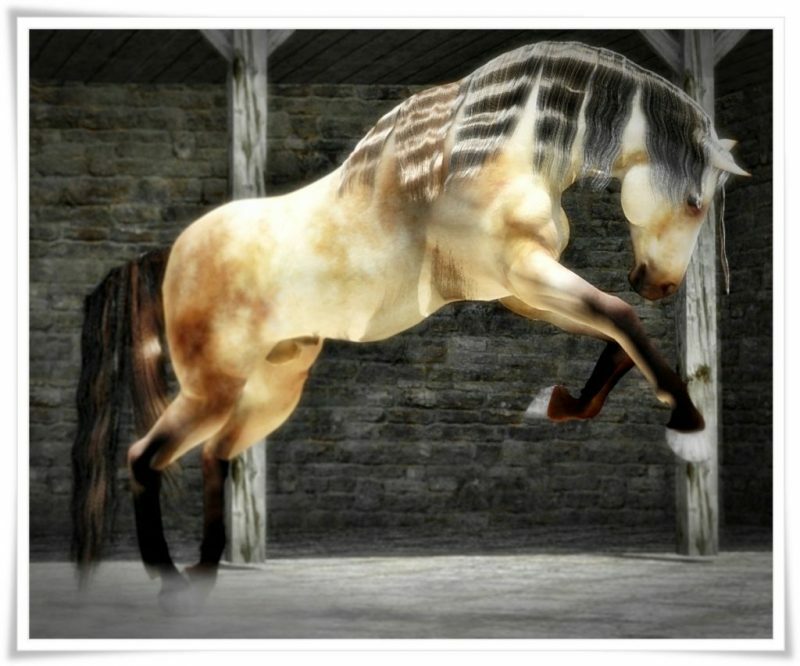 Now a had a hairless boned horse model that worked in Carrara. 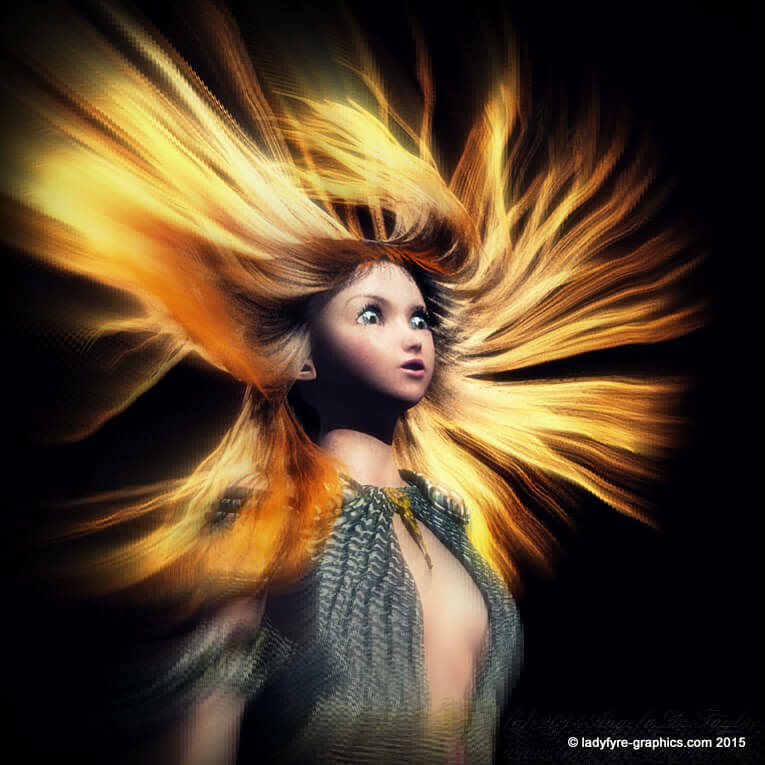 The hair itself was not that hard to make just fiddly. 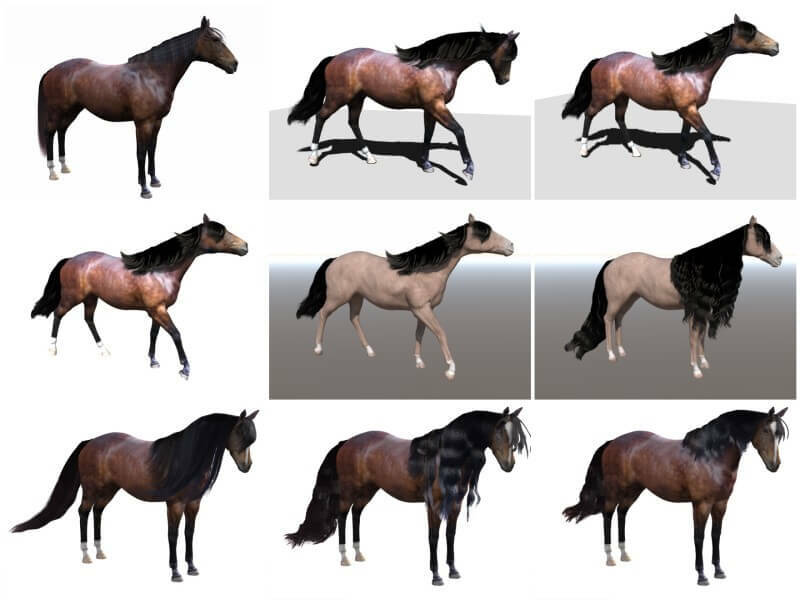 I found that I got the most realistic renders by plugging the horses coat texture map into the dynamic hair‘s material but found that animation was way too unpredictable no matter what settings I tried….